This is a wonderful meal, or it can be used as a side dish if you want a protein to go with it. It is gluten free and vegan, toddler and husband approved! It is very easy and perfect for when you have a little of this and that in the fridge and want to use it all up. 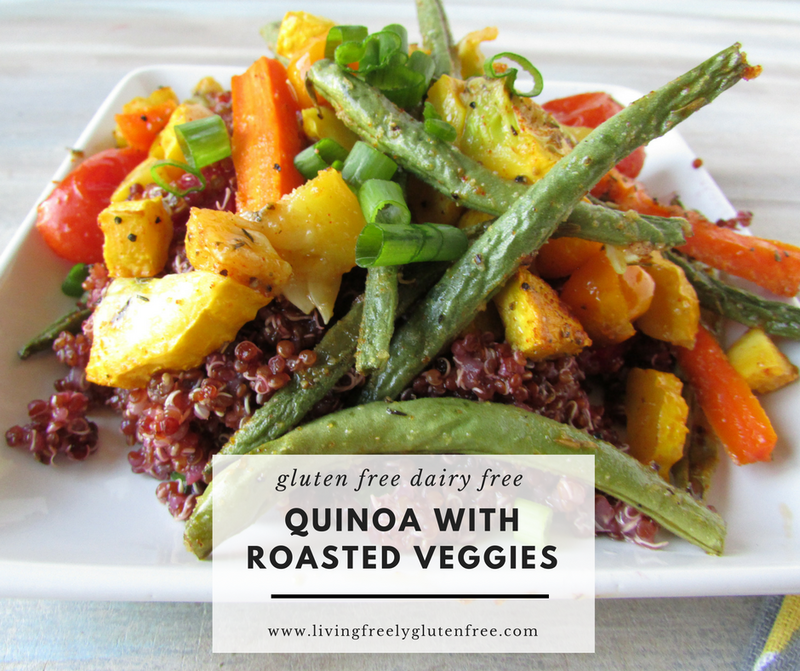 I used a tri-colored quinoa from Trader Joes but I have made this with plain quinoa many times and it is just as yummy. This time I used almost all ingredients from my little backyard garden. You can put anything you want in this; some other options are eggplant, spinach, chickpeas, Broccoli, corn, peas… Anything, really. This is what I used but feel free to add and take away to your liking. 1.5 cups of quinoa rinsed and cooked in 3 cups of water on med-low heat. Preheat your oven to 425 and cook the quinoa according to package instructions. Cut your veggies and put into a bowl and pour 2 Tbsp. Of the Avocado Oil on the veggies, add all of the seasonings and toss until well coated. Pour onto baking sheet and bake for about 25 minutes. Once the quinoa is done add 2 Tbsp. Avocado Oil to it, ½ Tsp. Salt and the half jar of beets along with the juice. Stir well. 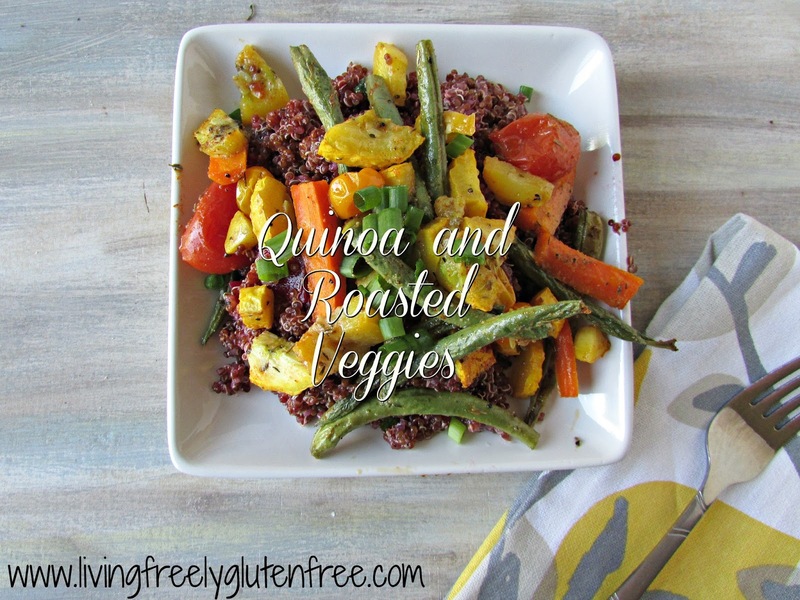 Serve quinoa with veggies on top. Enjoy! This post contains affiliate links. LFGF makes a small percentage of any sales made though these links. Thank you for your support.